Looking for a financing option to fulfill different financial obligations? How about cash-out refinancing? Learn about its pros and cons and decide when it is best for you. A cash-out refinance is commonly known as the refinancing method of your existing mortgage, where the new financing amount is larger than the existing mortgage. You’ll get your old mortgage covered and some extra amount to fulfill other requirements. Homeowners opt for cash-out refinancing to turn a part of the equity in their home into liquid money. A cash-out refinance is more or less identical to a normal refinance option of your existing mortgage. As a result, you need to pay closing costs and interest on the difference between the mortgage and refinanced amount that you take out. 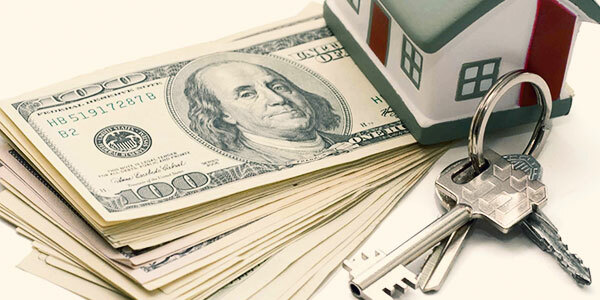 A cash-out refinance is a good method of utilizing your existing money that you have in the form of an asset. You can pay off big expenses such as education costs, tuition fee, medical costs, capital for a new business or home improvements. The big catch of this option is that it often comes with attractive interest rates rather than conventional unsecured loans, student loans or credit cards. Using a cash-out refinance option for reducing or consolidating your other unsecured debts can be beneficial for you. You can use the extra amount to pay off high-interest credit card debts, student loans, medical bills, etc. By this way, you can move other debts with high interest to a loan with a lower rate of interest. A cash-out refinance typically offers a lower interest rate than an HELOC (Home Equity Lines of Credit) or an HEL (Home Equity Loan). Cash-out refinance can provide you with a lower rate of interest than your existing mortgage. For example, if you bought your house in the year 2000, the average mortgage interest rate was nearly 9%. But currently, it’s much lower. As per wellsfargo, 30-year fixed mortgage is now 4.875% (as on Oct 2017). Many new borrowers today choose a cash-out refinance option due to its stable interest rate instead of the adjustable interest rate that comes with HELOCs (Home Equity Lines of Credit). Paying off your unsecured debts like credit cards, medical bills, student loans, or utility bills in full can improve your credit score. As soon as you start paying your other debts every month before the due date, your credit history will improve. Your credit utilization ratio will also get reduced through this method. Thus, your credit score will rise significantly. Interests payable to the refinance loan are tax deductible. So, a cash-out refinance can help you reduce your taxable income and enable you to get a bigger tax refund. The interest rate on a cash-out refinancing option is higher than a regular refinance at market rate. Even if you have a 800+ credit score, you may need to pay more. The cash-out refinance rate should be ⅛ time higher than the current normal refinance rate available. It’ll need all the necessary details that you provided for other mortgage transaction. It means you need to provide the same documents you did at the time of your first mortgage. These may include tax returns of past 2 years, W-2 forms for past 2 years, pay stubs for one month, 2 recent bank statement copies, and much more as per requirement of the lender. Check twice the offered interest rate and fees before signing to the new terms. You'll also need to bear closing costs (hundreds to thousands of dollars) depending on different factors. Closing costs are typically 3% to 6% of the total loan value. For example, if the refinanced amount is $200,000, the closing cost might range from $6,000 to $12,000. Make sure you have the amount saved in your wallet before signing the papers. You’re putting your house at a greater risk. Your home is already treated as the collateral for the first mortgage. But by opting cash-out refinancing, you’re putting it into a bigger loan. So, at the end, you might lose the property if you fail to make the payments. If you take out more than 80% of your home’s value, you might have to go for PMI (private mortgage insurance). For example, if your home is valued at $200,000, existing mortgage amount is $170,000, and you’re borrowing through cash-out refinance $190,000, then you have to go for PMI on the new loan. PMI may cost you from 0.05% to 1% of the loan amount each year. By taking out a cash-out refinance loan to pay off your debts, you can free up your credit limit. Later you can use that credit for other financial purposes. But you should avoid going back into bad financial habits that can generate new debts. Before choosing this refinancing option, make sure to check and verify all the above-mentioned pros and cons and decide if it is suitable to fulfil your need. Don’t miss out: What are the basic refinance mistakes and ways to avoid them? Page loaded in 0.976 seconds.